People have learned how and understand what happens when tuning-in to these healing properties. Each Stone has particular effects and nuances and it is much based on this plus the individual's intuition to understand what and how in the context of their life right now. Afterall, who knows the reality of your life better that you. Until a certain point people can have trouble trusting oneself to read with accuracy. Trusting in the self is energetically central to feeling good in life. People learn how to re-fresh and read the inner signals. By learning to read and get momentum from using the Stones people can experience the benefits and let these benefits accumulate; like knowledge accumulates. It is a colossal advantage completely shifting the landing area where a person lives and operates from. If you are living in depression at the moment, this is your area of operation, this message is created for you. Using the powers of Crystals & Gemstones adds up to a massive advantage over time. For example, gain confidence boosting from Tiger Eye Stones and regarding yourself, would you benefit at work from extra fine focus given from Blue Lapis Lazuli. These daily advantages leads to incredible, seemingly unexplainable, progress in life. The situation for most people is either they know about and use Crystals & Gemstones while engaged and following their life Purpose already or they become aware of them and learn as beginners. The beginning of the path starts with things like taking better care of oneself, thinking positive thoughts about the self- these are steps taken everyday to re-energize and move the Heart. The Heart has had a very tough time and now needs a lot of daily positive feelings of encouragement. 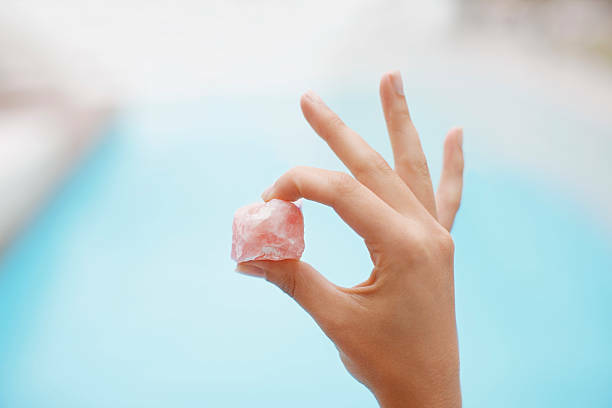 Pink Rose Quartz and Rhodochrosite are excellent Heart warming and uplifting beginner Crystal for this. To make sure it happens the day needs to be re-evaluated, look at all of the habits. You are going to make this shift happen by shifting your daily habits. Taking care of the self gets scheduled and done everyday, no exceptions. This becomes a beautiful life that you have created. Remember you own your attitude. It is yours and it is your decision how to use it because you completely own it. Aventurine is another great Heart-Care Stone for Heart Healing Positive Energy and it also opens up spiritual healing of the Heart. During this time other stones like Green Malachite, a stone for transformation, opens up the Heart for deeper and for deep Energy Cleaning. Like a thorough cleaning of everything inside the Heart's Body-Mind-Spirit. If all of this is new to you, don't worry because you will learn exactly what you need to know at just the right time. The information is coming. This is just getting you a move forward, one step, two steps... Soon it will be easy for you to navigate. As the Heart opens up a person so do your inner sensors and the healing focus can move “upwards” or “downwards”. The intuition is “upwards” and feeling safe & secure in life is “downwards”. Look forward to these stages because depression it means a huge Release for you. You are able to breathe out, to un-clench the hands and relax the shoulder muscles. The air flows in and out of your chest, you can breathe, and the mind feels calm. Feeling depression is not a life long destiny. Now that you know this you can put it to work. The Path comes from the process of learning how to work within the Natural Forces of Life, to calmly live and operate from Flow. During this process a person finds, nurtures, and develops strong inner-strength, inner-positivity muscles and starts to notice just the good things all around in life. True there exists negative things, people, and self-talk. Because these are not from the Laws of Nature they always disappear. Negativity is unnatural and cannot survive without energy (from you). Black Obsidian and Lava Stones are great protectors against negative energy. Living in Flow makes a person feel self-confident which increases engagement in life. This momentum leads to asking more fulfilling, better questions to get more clear answer. You get more from life and you are getting closer to discovering your Purpose. Crystals & Gemstones encourage you unconditionally. Life Purpose can be many things and while using Crystals the person feels better and more confident. Expectations rise together with abilities. You have become more and can give more of yourself. This becomes a positive feedback loop that you can see and feel and you no longer tolerate certain things that used to be “normal” to you. Depression has become a thing of the past. What did you say, I used to be depressed!? With so many engaged, good things happening, you remember how it used to feel, but it is not is no longer relevant. You live in a space where depression doesn't. You feel calmly confident and happy. It feels good to take very good care of yourself and you gladly do so all the time. Chrysocolla, a bright blue happy gemstone amplifies positive, happiness, and satisfied feelings you are having about who you have become, what you have made of yourself, and what you now give to enrich others. You understand how you got here and what you overcame. You walked into the light out of the dark place of depression to re-connect with yourself and your life. And it worked especially well when you had the ideas what to look for. Your life needed to be transformed and you did it yourself. You always had it within you and now it is unlocked. Crystals & Gemstones provided consistent stability points and grounded energy that nothing else could do for you. The impact on you is radiant and your smile is glowing which is how you feel when you see the same happy people that used to make you mad. Now you are genuinely pleased for others when they are doing well. You are learning to trust yourself, learning to read, understand, and trust your inner signals- your intuition. You have learned what is good for your own care and are fully able to take care of yourself. Also you are now able, because of who you became following your Life Purpose, to give so much of what you have become to others making their lives better. Now you know, Crystals & Gemstones are no a secret, they are treasured. These ancient guides become a deeply personal part of the personal support system and like for any treasure, measures are taken to keep them safe in a positive space. It started by giving positive to your Heart to open your Heart. The space opened up to where you end up living.